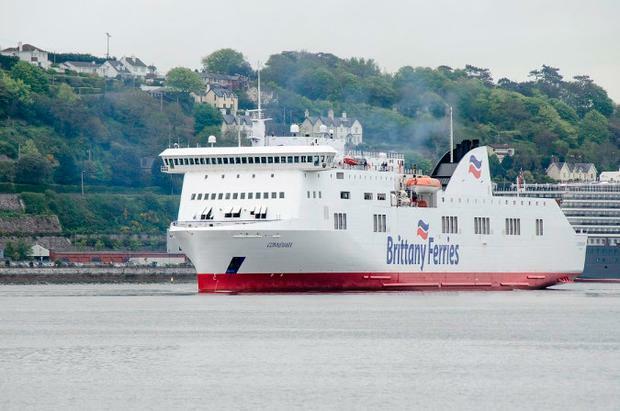 Brittany Ferries is to offer its first year-round ferry service from Ireland – a continuation of its Cork to Santander route through winter. The route launched this May, becoming Ireland’s first ever direct service to Spain, and the extension is designed to facilitate freight traffic, the company says. Foot or bicycle passengers are not permitted on board, but there is room on the ‘Connemara’ (above) for up to 500 passengers travelling in 195 cars. Crossings take 26 hours or 32.5 hours, depending on the sailings, with prices from €189 for a car with four adult passengers, each-way. Cabins cost from €109, and there is limited reserved seating. The service departs Cork on Mondays and Fridays at 23.30pm – a timing based on feedback from hauliers, who favour late arrivals and early starts (it arrives into Santander at 08.00am), Brittany says. The ferry offers “a comfortable, no-frills service with a distinctly Spanish theme” based on the company’s économie model run between the UK, France and Spain, it adds. The ‘Connemara’ has a small shop, café-bar and passenger lounges. “As Brexit uncertainty continues, our new service provides a guaranteed connection for exporting freight from Ireland directly to mainland Europe, allowing freight carriers and passengers to bypass the UK and French land-bridge to Spain,” said Simon Wagstaff, Brittany Ferries’ freight director. The winter service will continue until March 1, 2019, with the exception of Christmas and New Year weeks. Brittany Ferries’ Cork to Roscoff route, which this year celebrated its 40th anniversary, will resume sailings in March 2019.